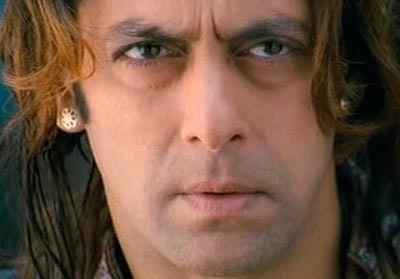 Fascinating news is that a movie is being planned on the life of Bollywood's super actor Salman Khan. His life is a complex one inasmuch as it's full of controversies. Strangely, South India's Producer B.K. Krishnan who owns BRK Films is set to make this movie. Krishnan says that he got inspired by the ups-and-downs of the life and loves of the Bollywood superstar Salman Khan! The film is tentatively titled 'Anna Salman' or 'Brother Salman', but the producer is yet to zero in on an actor to play Salman. Sources add that the script has similar incidents like the Bandra bakery accident involving his car accident that followed a killing plus several injuries. So, also the Black Buck poaching case that resulted in detention for him. However, the hero's other side that's very bright will also feature prominently in the movie. Krishnan further says the film would also show that the hero also had a torrid relationship with a young actress - an apparent reference to Salman Khan's troubled past relationship with Aishwarya Rai. This role will be played by Rittu Sachdev. The film is an out and out comedy and the hero comes out of his troubles successful and much loved by everyone. This is another matter that the actor landed up at a wrong place at the wrong time and messed up his life on several occasions. Overall, Salman is a versatile filmi personality and deserves a movie on his complex life.